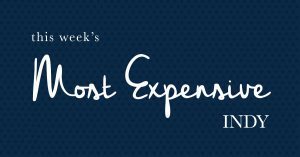 Stacy Barry Team | Most Expensive Indy Listings this Week! Most Expensive Indy Listings this Week! Which home would you choose?? We’re counting down the six most expensive (detached) listings in Indianapolis this week! And trust us when we say, you definitely need to take a peek inside before you decide which one is your favorite! They are all so different, and a couple of them are incredibly unique. You just might discover your new favorite style! And keep your eyes peeled for the home that has a suspended bridge attaching the back porch with a special elevated patio area among the trees! Stay tuned as we make our way around the area finding the most expensive listings on the market! Information and status of these homes is deemed reliable but not guaranteed.